Flappy Golf (iOS) – the obsession will not stop. I finally got gold on all the boards. David (iOS) – You’re a square flying around trying to destroy larger blobs made of shapes. Pretty cool. 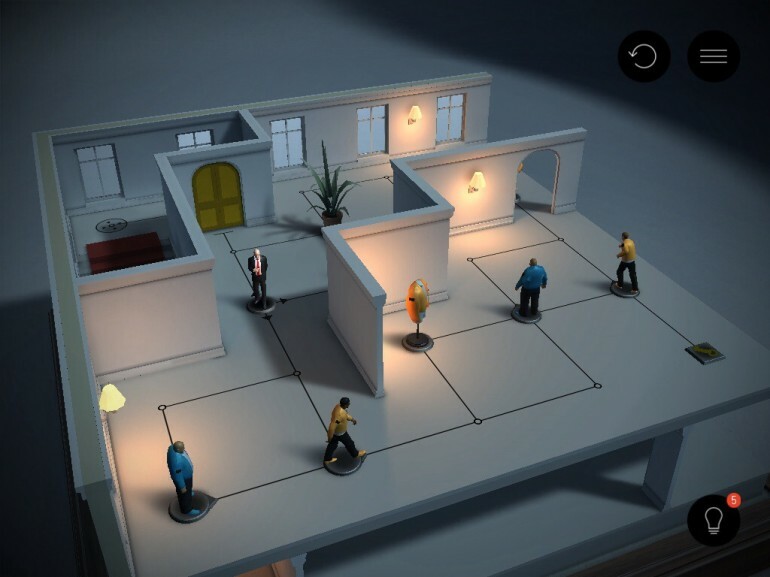 Hitman Go (iOS) – I love the art style of this game. It’s set up as a board game with a little Hitman piece you move around. The gameplay is turn based puzzle – get to the target on the board while avoiding or “killing” the bad guys. Really fun so far, try and not too frustrating. Blek (iOS) – draw a pattern on the screen and have it repeat to clear colors. Neat concept and implementation.